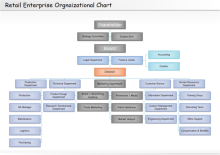 Choose from a large collection of org chart templates to design your own one. 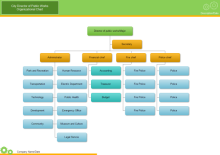 Easily editable and highly flexible templates help you draw org charts as fast as possible. 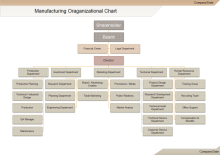 Dozens of organizational chart templates are readily available to help you depict your organizations' workforce, department and structure. 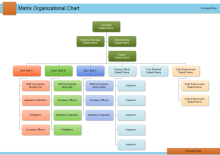 The major types include the basic organizational chart, photo organizational chart, custom organizational chart and family tree. 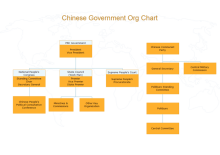 Have a look at some examples. 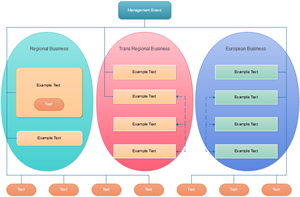 It is easy to find a template in Edraw. After you start Edraw, you can see a search box under the toolbar. 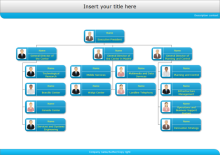 Type in the organizational chart and click the search button. 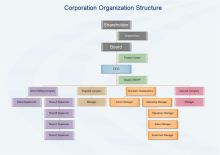 All of the embedded organizational chart templates in the program will be shown. 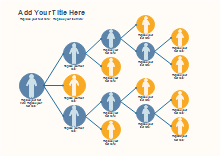 Only a small portion of Edraw's templates are contained in the software. Many more are uploaded online. 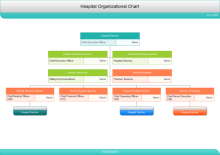 For all organizational chart templates, visit Free Organizational Charts Templates. 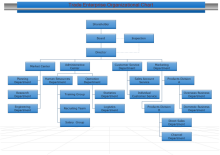 The simplest and fastest way to create an org chart is to get started from a template. 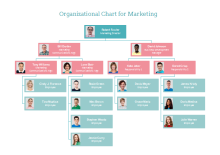 Alternatively, learn How to Create an Organizational Chart from scratch. 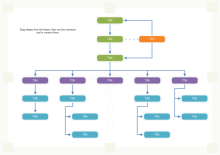 Edraw makes it even simpler and faster by offering advanced tools of diagramming. Auto Generation: Except for the first shape, all shapes have two floating quick buttons. 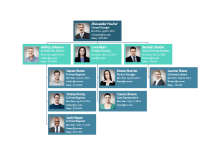 Click the right one to add colleagues and click the bottom one to add subordinates. The newly added shapes are automatically connected, aligned and distributed, saving a lot of time and effort. 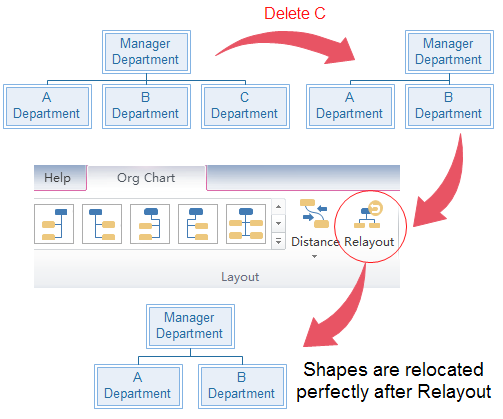 Auto Relayout: If you need to delete a shape, it is better to re-layout it. 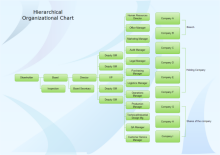 This is difficult if the chart is drawn by hand. 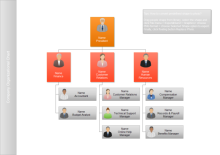 In Edraw, you can rearrange the whole org chart any time, with 1 click. 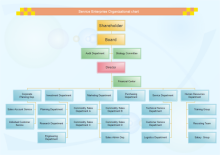 After you finish the modifications, go to Org Chart tab. Click Relayout. 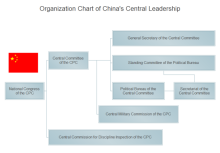 Everything moves smoothly to the right position, leaving no trace of modifications. 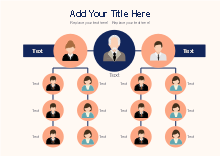 Text tool: Most shapes are designed with text boxes. Double-click the shape to type in your own contents. Themes: one click on the theme changes the font, color, line and fill style all together at once. Backgrounds: Just drag and drop your preferable background to replace the default one. High quality. 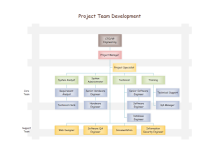 All templates are professionally designed as presentation-quality. All in popular vector format. All are highly artistic blend of color, text and imaging. Large in number. 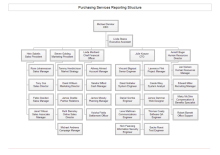 Users can gain over 30 org chart templates to get started instantly. 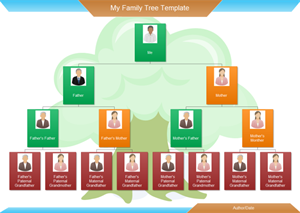 Edraw team keeps expanding the templates collection every day. Rich in styles. 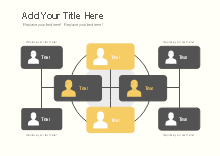 You can choose from a wide variety of templates, highlight style, 3D templates or flat graphics. Easily editable. 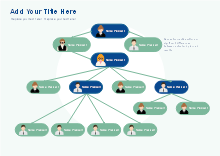 All templates are editable since they are created with smart vector shape. 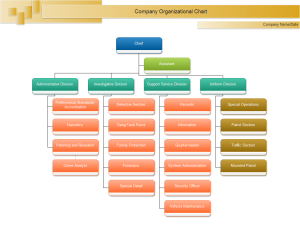 The basic organizational chart shapes include floating quick buttons that support point-and-click editing. New shapes can be generated automatically by only clicking on the floating quick button, perfectly connected, aligned and spaced. 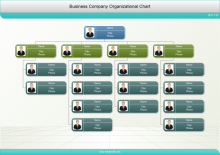 Flexibly compatible with other programs. 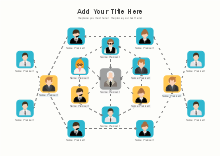 One template can be exported into many other formats (pdf, docx, pptx, jpg, ong, svg and so on). 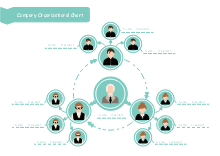 This enables easier data sharing and information communication at any platform.